FEATURES/SPECS This two tone wood keepsake box is perfect for both home and office. 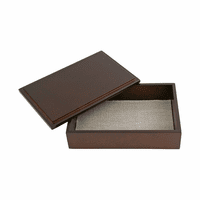 It has elegant, rounded sides and padded feet to protect your delicate surfaces. 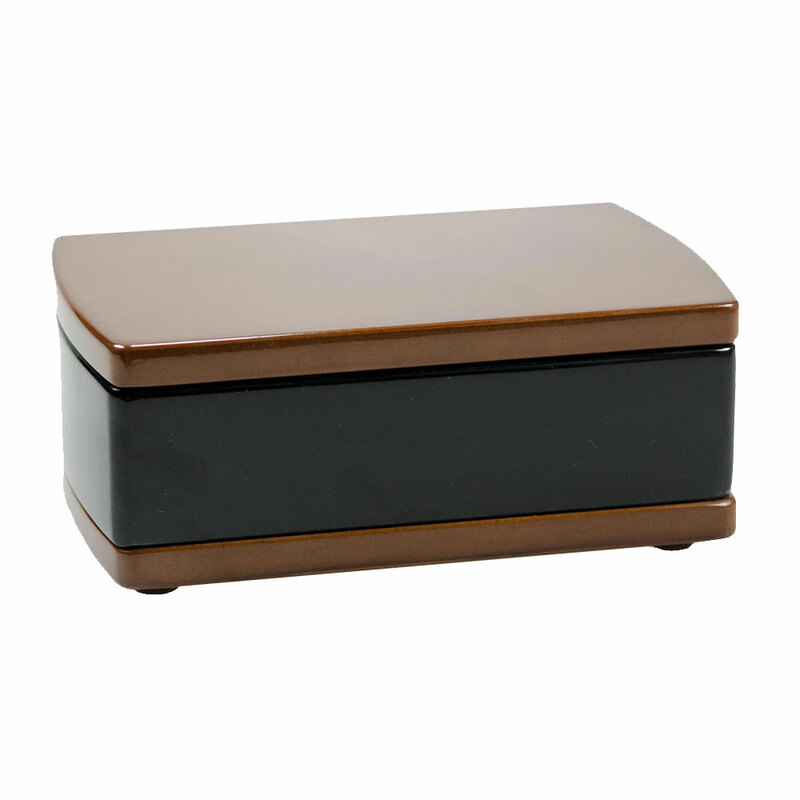 It has a light rosewood finished top lid and bottom section and a rich black middle section. Inside, its lined with black velvet. 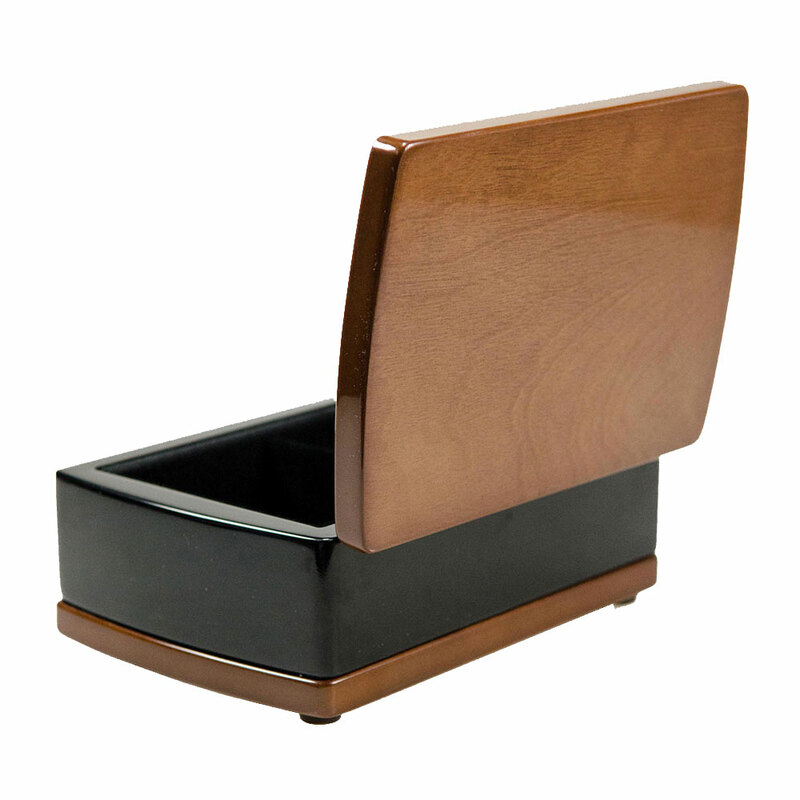 Its ideal for holding pins, clips and notes at the office or coins and keys at home. 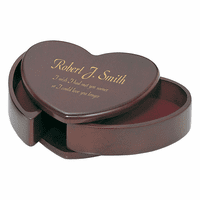 The lid can be laser engraved free of charge, perfect for adding a customized inscription for a loved one or coworker. Just check the Personalize It box above. Dimensions: 5 7/8" x 4" x 2 3/8"
What is the inside dimensions? 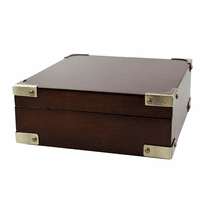 You can place your order and attach your logo right on the item page. Once your order is placed, we'll email you a proof for approval within 24 hours. We have two in stock right now but we can have more in stock within one week. If everything looks good, we would have your order shipped within one week. I love the box but I believe the description was deceptive. It is NOT letter size... But letter envelope size. 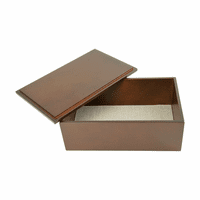 I am in need of a larger box to accommodate several special items, however the box and engraving is beautiful.